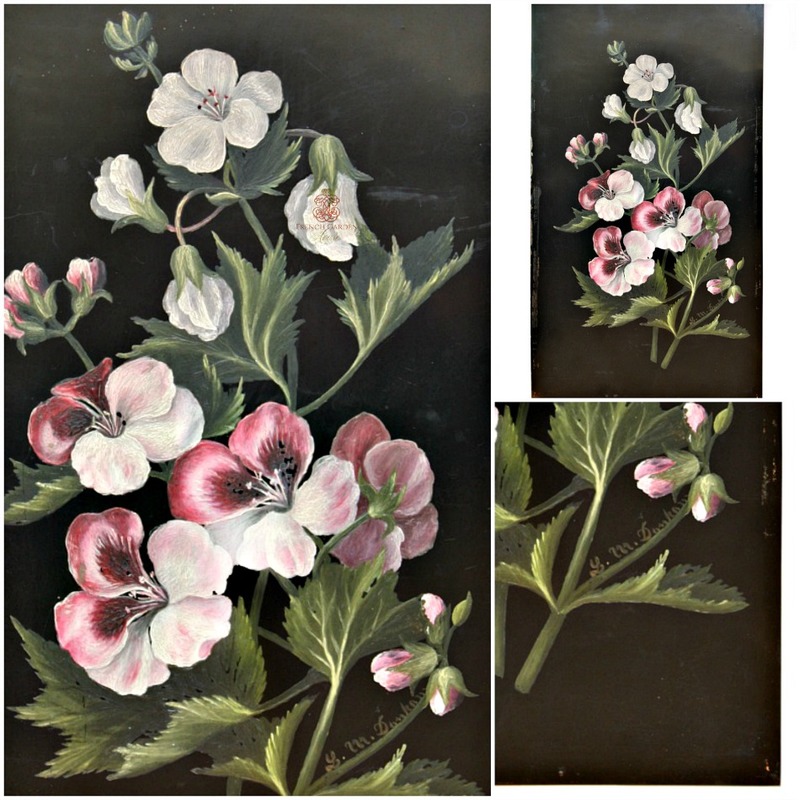 Stunning 19th Century Estate Oil Painting of sweet Pink and White garden flowers, painted by an accomplished artist in the mid to late 1800's. Gorgeous colors of pinks and white, the flowers are in full bloom, each petal and leaf of this flowering plant perfectly captured. 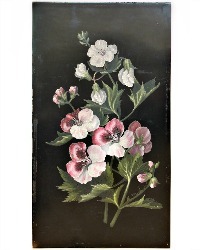 Rich, jewel like colors, this was painted on a metal board with oils, in the style of Paul de Longpre or Catherine Klein so beloved by the Victorians. 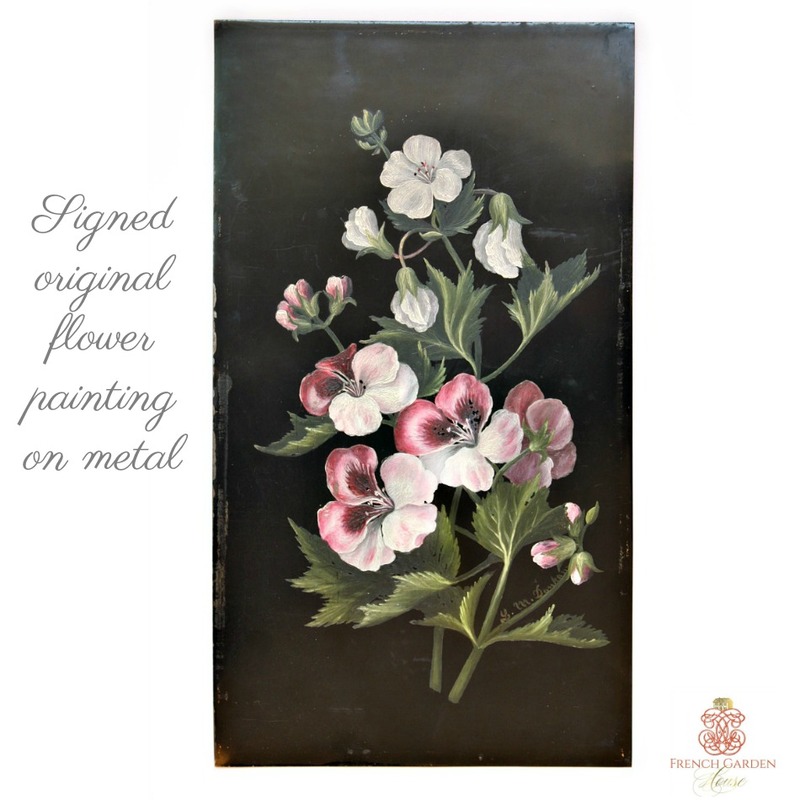 A wonderful collectible size, this painting is not framed, it is lovely just as is, but would also look stunning in a period frame. Signed in the bottom corner by the artist, L.M. Dunbar, who was most likely a Victorian Sunday painter., although a very good one! 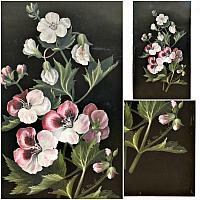 A decorative addition to your collection of antique flower paintings. Measures 23~1/4" x 21~1/4" x 2".